Welcome to the Stanley Clarke Foundation. 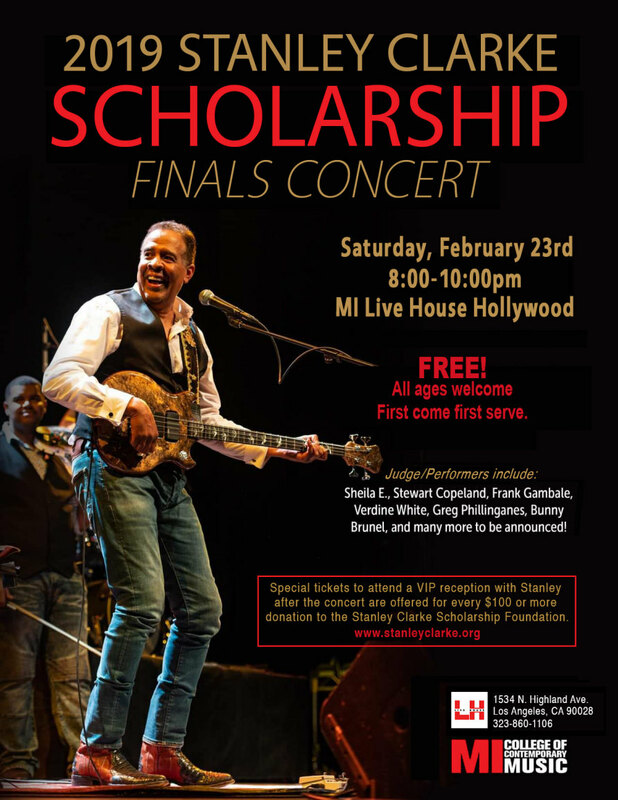 Stanley is preparing to celebrate 15th Anniversary of the Stanley Clarke Scholarship for talented young artists in preparation for a career in music on February 23. Helping the next generation achieve their dreams and aspirations is near and dear to Stanley’s heart, and something he strongly believes is the duty of those who realized their own success. LIVE HOUSE HOLLYWOOD, 1534 N. Highland Ave, LA, CA 90028. Tickets to attend a VIP reception with Stanley after the concert are available with each donation $100 or more. 100% of donations go to scholarships. Aleena Gibson (Songwriter), Sunnie Paxson (Pianist), Armand Sabal-Lecco (Paul Simon Bassist)and Pauline Frechette (Theatrical Composer). Join Stanley Come out, enjoy some great music, and help support the next generation of musical talent! 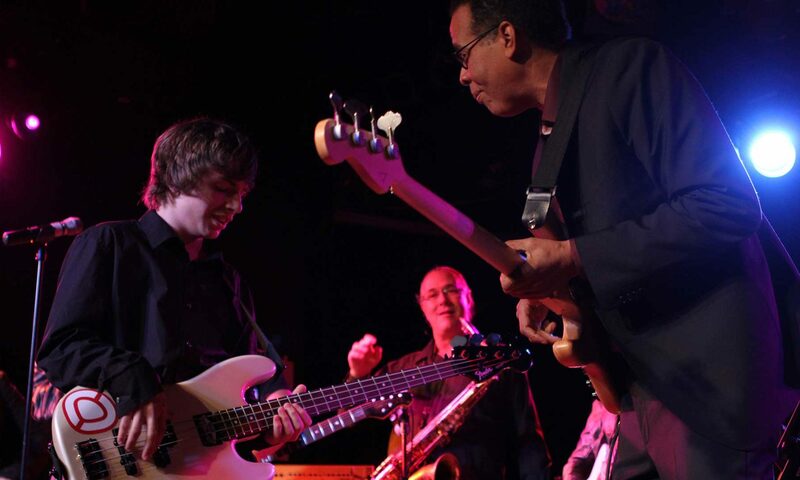 The Stanley Clarke Scholarship Foundation is a 501(c)3 organization, donations to which are tax-deductible. Federal ID: 20-8819686. The official registration and financial information of the Stanley Clarke Scholarship Foundation may be obtained from the California Secretary of State’s Office.